Penashue thought that "The Coast was Clear!" So he stole this riding! As I was perusing Peter Penashue's Facebook Page,I noticed something that fits right in with the Opposition's narrative on the now disgraced (former) MP and (former) Minister of Intergovernmental Affairs history of service. The Page contains hundreds of photographs posted in 2011, hundreds. The odd part is that he stopped posting them on April, 30th, 2011 just two days short of the last federal election. What's so odd about that, you ask? 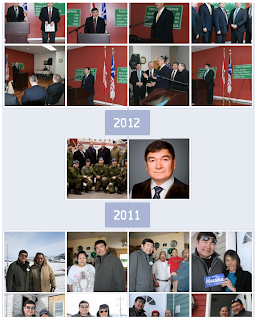 at Peter's Photo Stream and on that very page you will see that there were only two photographs posted in 2012, and both of them were PMO approved photo-ops of spending announcements with plenty of human props. And that is not hundreds is it now. And moving on to 2013, the first photo graphs were , not posted till January 28th, 2013. And this my friends, was that he was informed that he was under investigation by election Canada, and that the investigative had concluded that he grossly exceeded the spending limits for the 2011 campaign. Election Canada gave him a deadline to explain the roughly $48,000.oo that he had no right to spend. 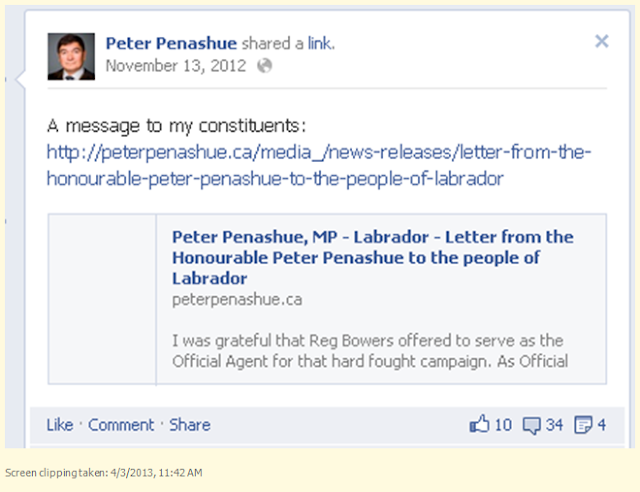 This was several weeks before he resigned as a Minister and MP and left the caucus of the Conservative Party of Canada. And this is Quite Amusing ~ Don't you think! It has been deleted from his Facebook Page! Then you click on it! Not Surprisingly the Document to which it links has been Deleted! Reg Bowers has been! 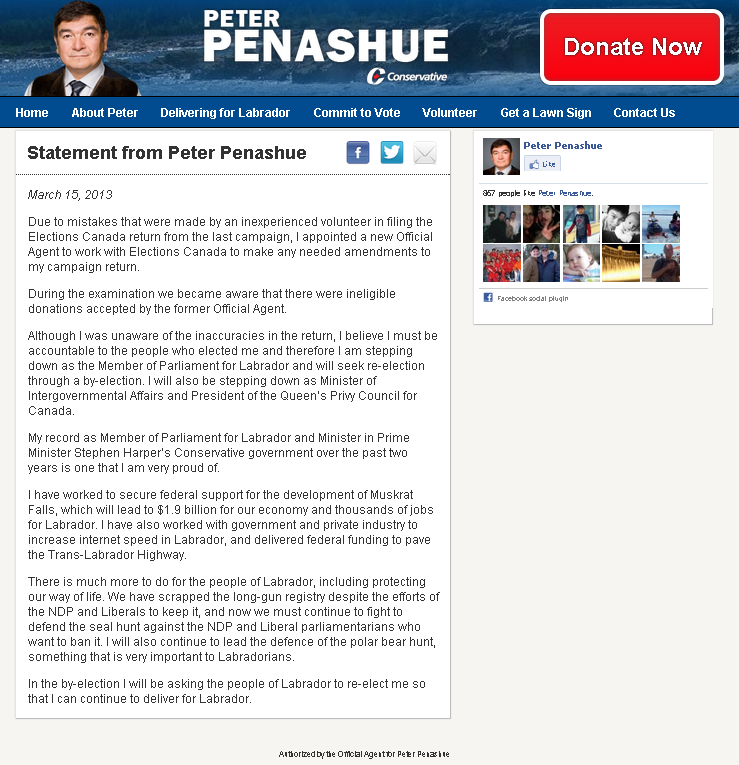 Reg Bowers, the "inexperienced volunteer" former Conservative minister Peter Penashue blamed for "ineligible donations" made to his 2011 federal election campaign, says he "unintentionally" accepted at least one corporate donation, which is illegal under Canadian law. Authorized by the Official Agent. Lol! before it goes the away. Rex Murphy isn't all that Impressed! 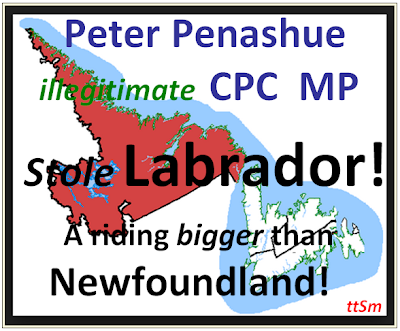 Peter is back on the Campaign Trail and I think he is in way over his head! Near the top and To the Right. Well done again, Kim. 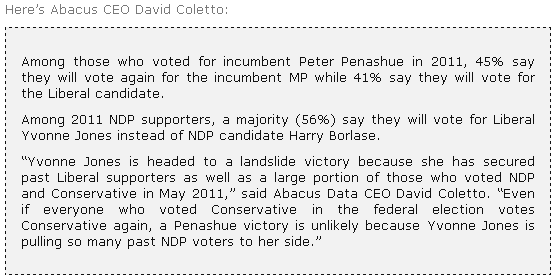 It's obvious that the cons have conned themselves as they apparently think they'll win this one. OMG!! The whole thing is just too disgusting to entertain! 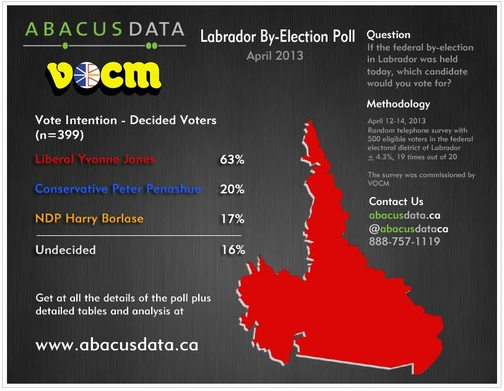 How on earth did we Canadians ever let this happen?? Not just penashue, but harpo, prorouging 2x, DDM and his shenanigans with donations... makes me ill to think about how 'asleep' we've been. Only one thing left to say tho .... NEVER, BUT NEVER, AGAIN! !